Home Content Writing Content Writing Tips – How to Write Killer Content? 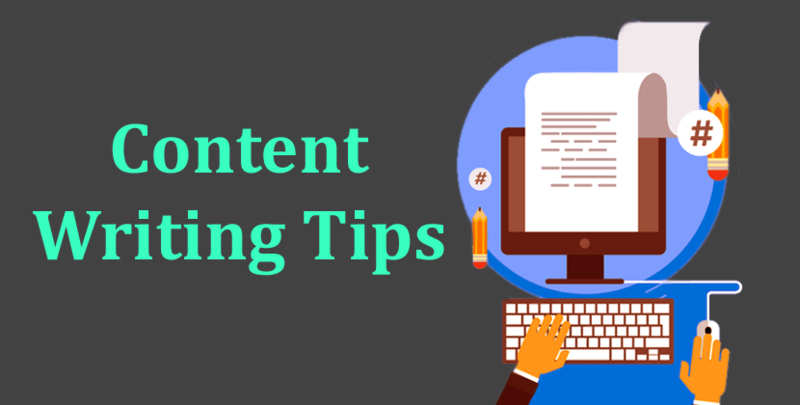 Content Writing Tips – How to Write Killer Content? Content marketers often come across a problem. The problem is producing volumes of content without compromising the quality. That’s hard. After scribbling down 1000+ words, your brain would probably lose all the creativity and you would only be able to come up with repetitive and monotonous content. But hard doesn’t mean impossible. You could overcome this problem by following some simple steps. It’s better to call them secret techniques as successful writers employ them and assure quality in their writing. Hence by learning these techniques, you could also join their rank. Quality content requires idea and execution. A brilliant idea cannot be fathomed if it is not executed properly. Sometimes experienced writers find themselves unable to produce good content only because they lack idea. In the absence of ideas, stuffs they write, appear mundane and insignificant to readers. Jotting down the idea as soon as you get it – We tend to ignore this, but memory plays a big role in ideation. If present ideas are not connected to past ideas, the big picture couldn’t be looked at. To memorize ideas therefore, it’s best to jot them down. Bookmark webpages for reference – There’s a difference between browsing the web and researching the web. We hardly do the latter. To research the web, you shouldn’t skim through web pages in the speed of light. Focus on them instead and read between the lines. If you find a particular webpage useful, bookmark it for future usage. In other words, save web pages as reference materials. Use social networks – Social networks are not only for pastime activities. You can reach out to a number of people over social networks and share ideas with them; inputs from them may help you reform your existing ideas. Social networks can be used for another purpose. As a content writer, you are liable to explain to your audiences where you stand different from other writers. So, never ever copy others. Keep in mind you are not just any content writer but a brand. As each brand is different from the other, you need to build a customized branding which would rely on a highly individualized style of writing, which should be able to introduce you to the reader even when your byline is not explicitly mentioned. Make a list of top 5 writers, whom you admire. Select one piece from each of their works, which represent their style of writing. Read out the piece slowly so you could get an idea of how sentences were formed, how the whole article was structured, etc. Now write on the same topic and see if your article comes close to the one, written by your favourite author. Keep doing this for all 5 writers, review your own articles and compare them with theirs. If you jump from one point to another point, your readers might have difficulty following you. Besides, it will be tough for you to link one part of your article to another part. This in turn will add less value to your content. So stick to only one point. Now since the whole article would consist of just one point, make sure you’re discussing a bottom-line point. Editing is really essential here. Unless you weed out paragraphs and sentences that refer to irrelevant points, you cannot stick to the ‘one-point’ rule. A well thought out article must always have a balanced ratio between depth and length. If the ratio is unbalanced, readers will either get a sketchy coverage without sufficient detail or too much detail for the space allotted. Both are bad selling points for the content. To maintain an appropriate ratio, you need to first decide whether the article’s depth would fit its length. There’s no need to stretch the volume of the article unnecessarily if you are writing on a cursory topic. Likewise a long article must consist of in-depth and high-level discussion. Every piece of content needs a subject of discussion, a major idea and a specific angle. This is a surefire way to make your article unique because even if the topic of discussion and the idea are unoriginal, the point of view could be totally original. If you follow this principle and always bring a fresh point of view, you can cover the trendy topics which thousand others are covering and yet guarantee your readers they’ll get something from you which nobody else could provide. Forget ‘Romeo and Juliet’. A lot depends on the name, i.e. on the title of the article. Imagine the article as a lady. You haven’t met her but you know her name. If the name is interesting, you’ll be eager to meet her. In the same way, you haven’t read the article but the title looks captivating. You will be interested to read the article. First impression is the last impression. So the first sentence of the article is your best bet. Form the sentence in such a way that it makes an impact on the reader so the reader may get curious to read the rest of the article or may form an opinion and read through the article to validate the opinion. Make sure the first sentence is not misleading because readers are unlikely to pay attention to the rest of the article if they are mislead in the beginning. It’s a prevalent misconception that by creating hype, you could make readers attentive. Authors who write hyped articles are manipulative; they refer to unnamed sources and never reveal the source of their information. No matter how persuasive they are, they fail to convince readers because readers are always sceptic about their claims. So avoid hype and keep it realistic. Content marketers are different from classical writers. They don’t write for amusing or educating readers. They write because they want to sell something and expect the content to be compelling enough to make readers enquire about the product/service in question. What if a reader is curious but not sure how to contact the service provider? The only way to make sure it doesn’t happen is to add call to action buttons and contact forms on the page which displays the article. PLAIN WRITING IS THE BEST. Plain writing means avoiding bombastic words and choosing a simplistic style over a complicated or a literary style. You may have great admiration for T.S.Eliot or Albert Camus, but sales pages are not where you should flaunt your level of esoteric knowledge or mastery over the language. Instead, go for short paragraphs, short sentences and easy words so readers don’t feel lost in the middle of a sentence. Always keep in mind you are not trying to win a writing award, you are trying to sell something. Another important thing to bear in mind is web content is essentially different from academic content. So rinse your mind from whatever you were taught in your university’s English class. Closing an article is as important as starting it (if not more). If you’ve discussed who, what, where, why and when all through the article, at the close you should tell readers “so what.” For that, you need to summarize your key points and inform readers clearly how they could benefit from the information provided in the article. If the article ends abruptly, it may fail to convince the readers. This would be disastrous for your campaign as after putting all the effort, you’d end up missing out on a prospective lead. By following the tips mentioned above, you could write enthralling content, which would be informative, crispy and give readers all the information they are looking for. Next articleHow to Drive Traffic to Your Blog? How to Improve the Layout of Your Article Content? Hi, good one, friend 🙂 no to hyped articles was a new point that I came to see. well, I think you are right about it. Theses days readers are not so good in going through articles that are mainly focused on promotion . @Jithin, Thanks for the comment. Yup, articles having real information for the visitors will get auto hype :).